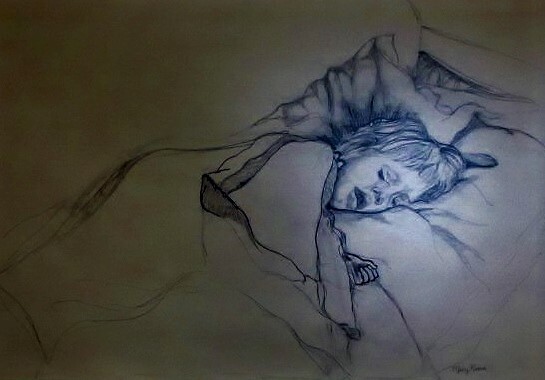 In this drawing on colored paper, I centered the white around the head of Lauren, my sleeping child. Doing so helps create an area of focus and an element of drama. Chiaroscuro encompasses the style of drawing or painting which reveal an illuminated subject in a darkened environment. The contour line in the outer areas leads you in and out of the composition. Beautiful drawing. I love the Chiaroscuro style and your piece shows the true beauty of the child. Thanks so much Mary for your constructive comments!!!! You are currently reading Area of Focus at Dr. Mary McNaughton and Drawing.